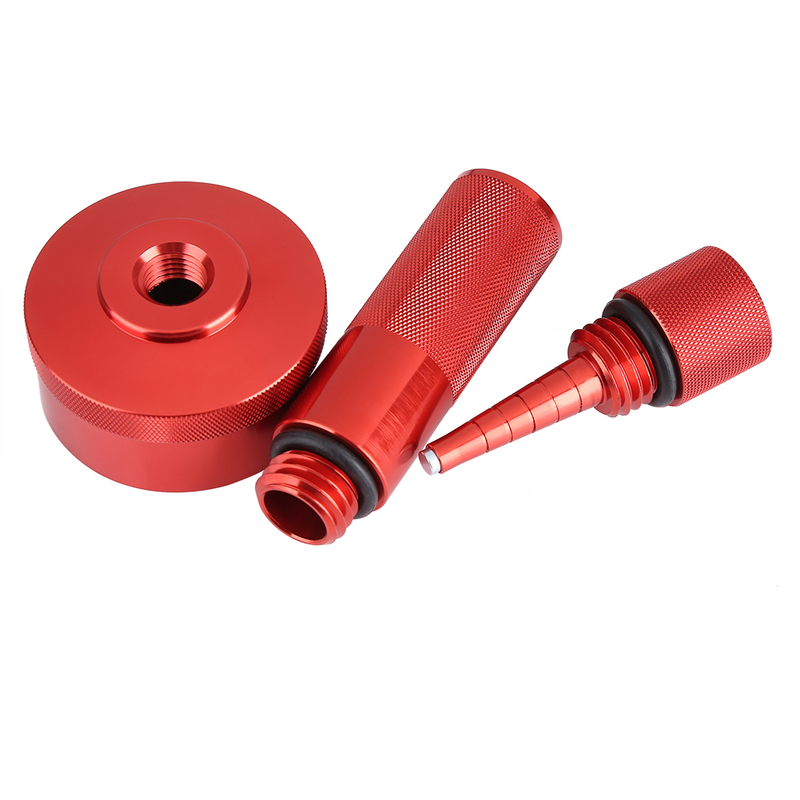 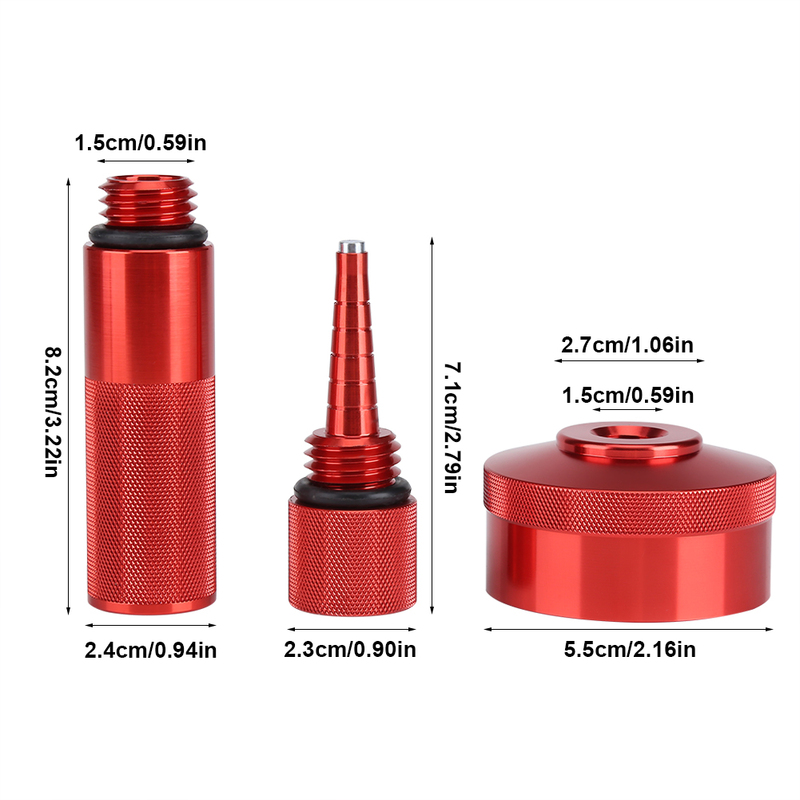 This is a set of high quality aftermarket aluminium constructed gas cap adapter, oil change funnel and magnetic oil dipstick set suitable for Honda EU2000i, EU20i, EU1000i, EU10i generator. 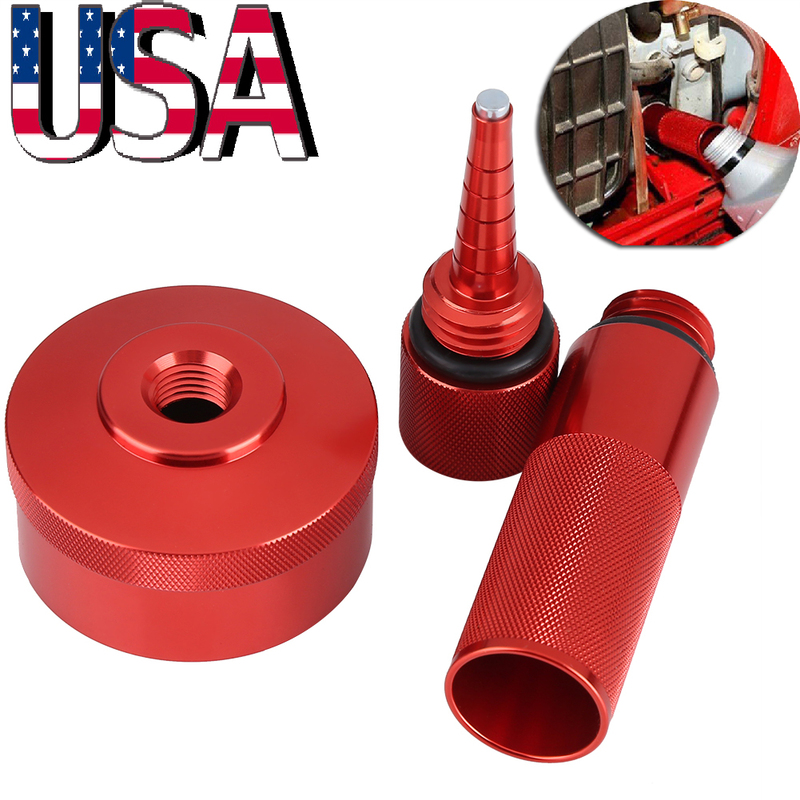 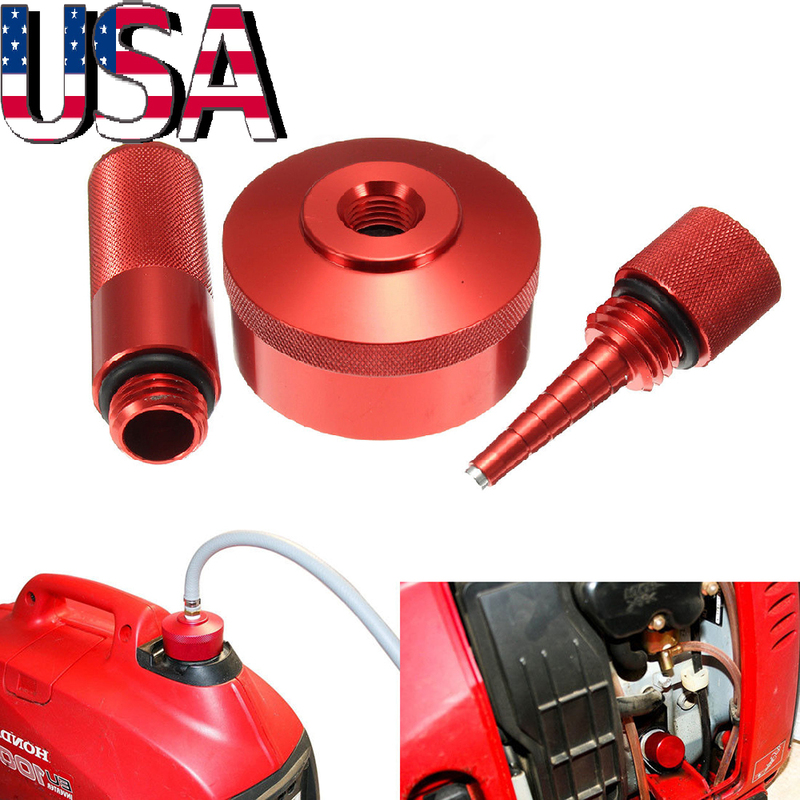 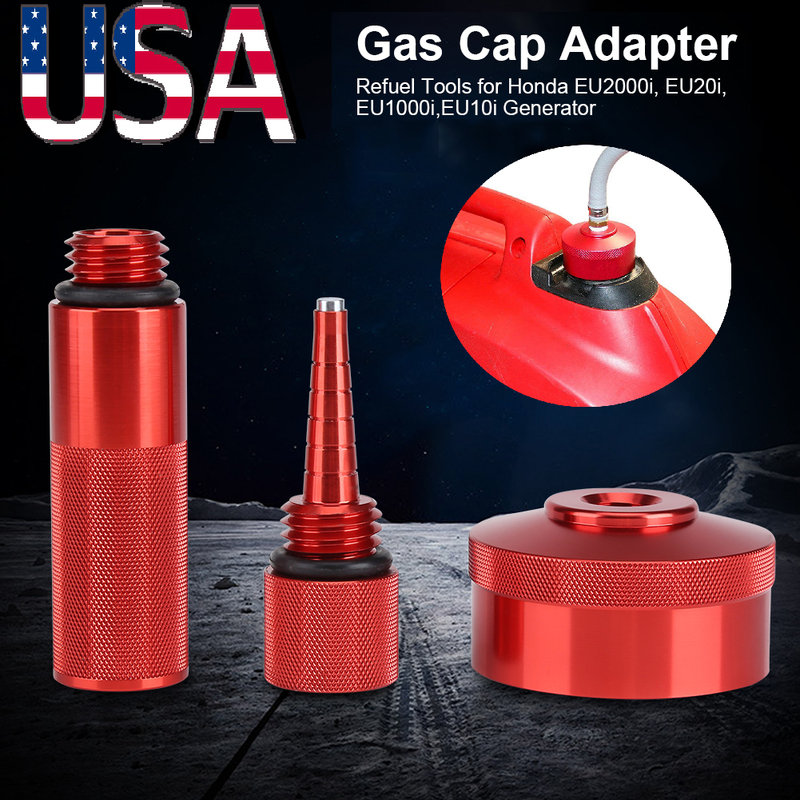 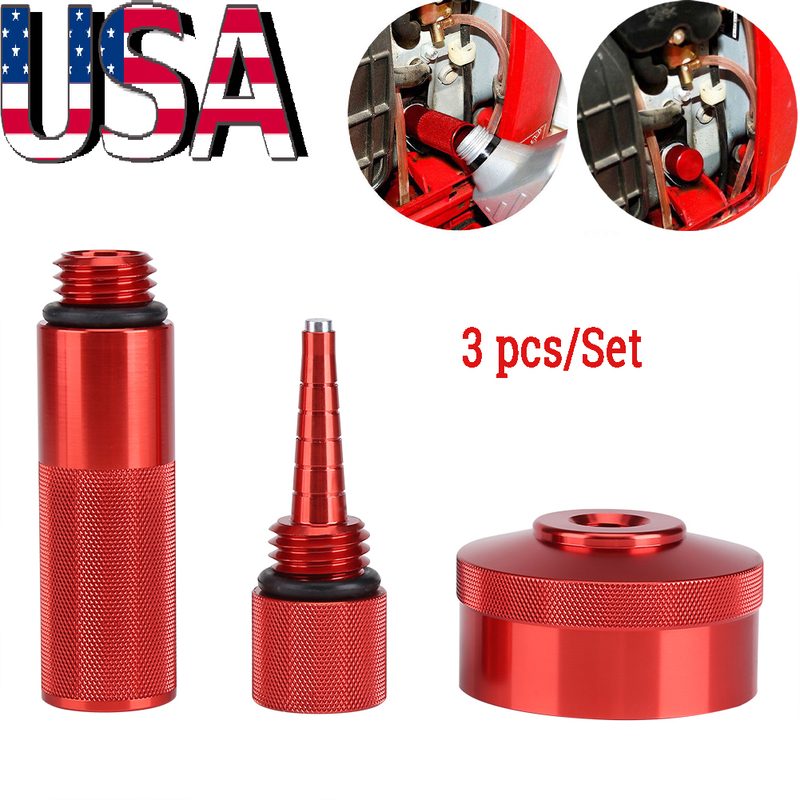 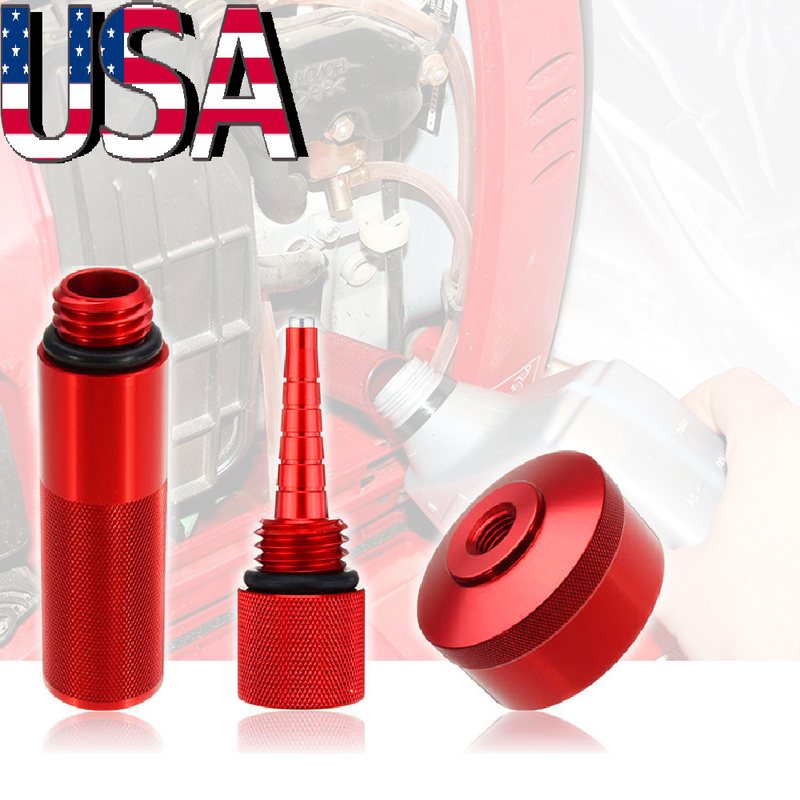 Brand new and high quality oil gas cap adapter, oil change funnel and magnetic oil dipstick set suitable for Honda EU2000i, EU20i, EU1000i, EU10i generator. 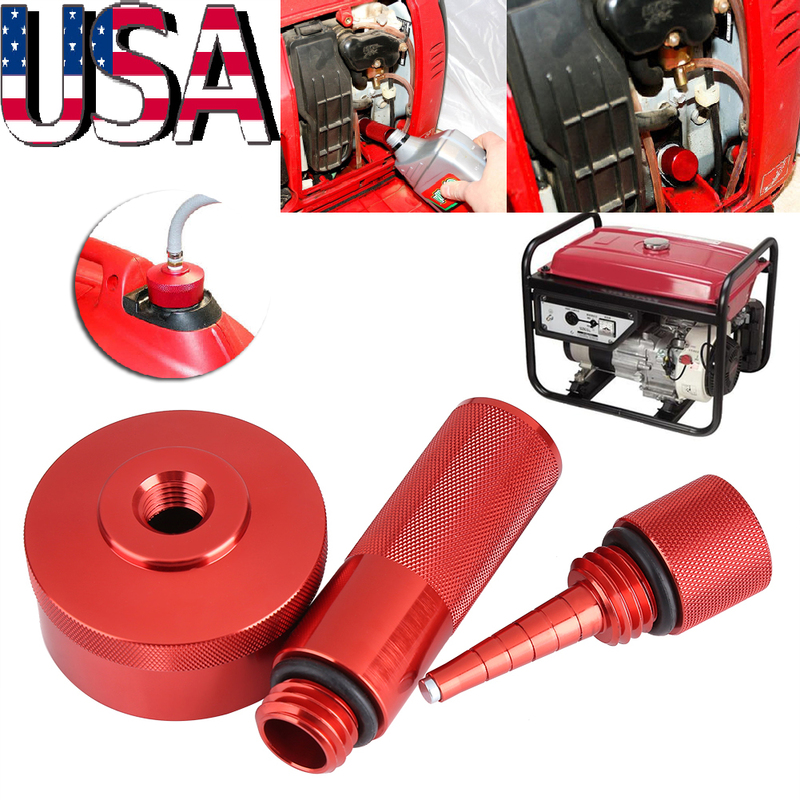 This gas cap adapter allows the user to hook up an auxiliary gas tank so that it can be used to feed the primary generator gas tank for extended operation time. 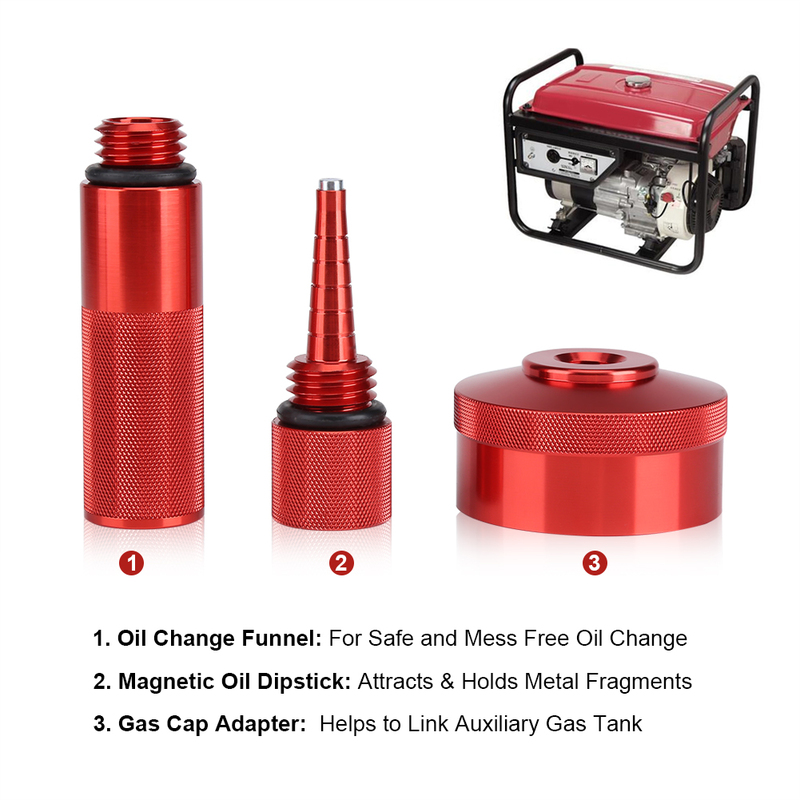 Screw this funnel into your generator for easy, safe and mess free oil change every time. 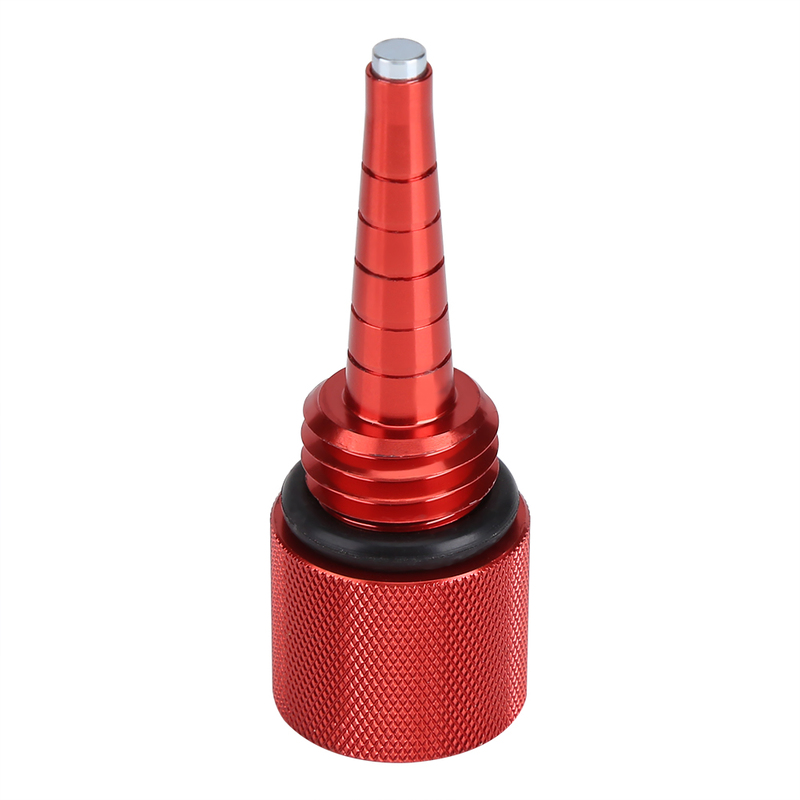 Magnetic oil dipstick's tip comes equipped with a strong magnet which attracts and holds onto any ferromagnetic metal fragments during engine operation. 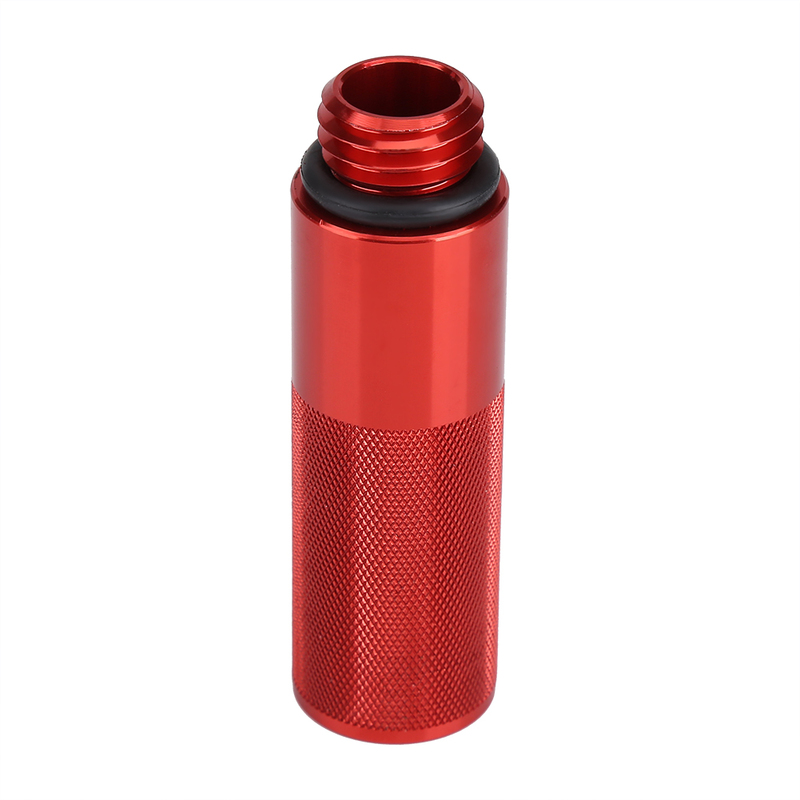 The crisp knurling design of the product surface can be effective anti-skid, and make the installation or removal more convenient and safe. 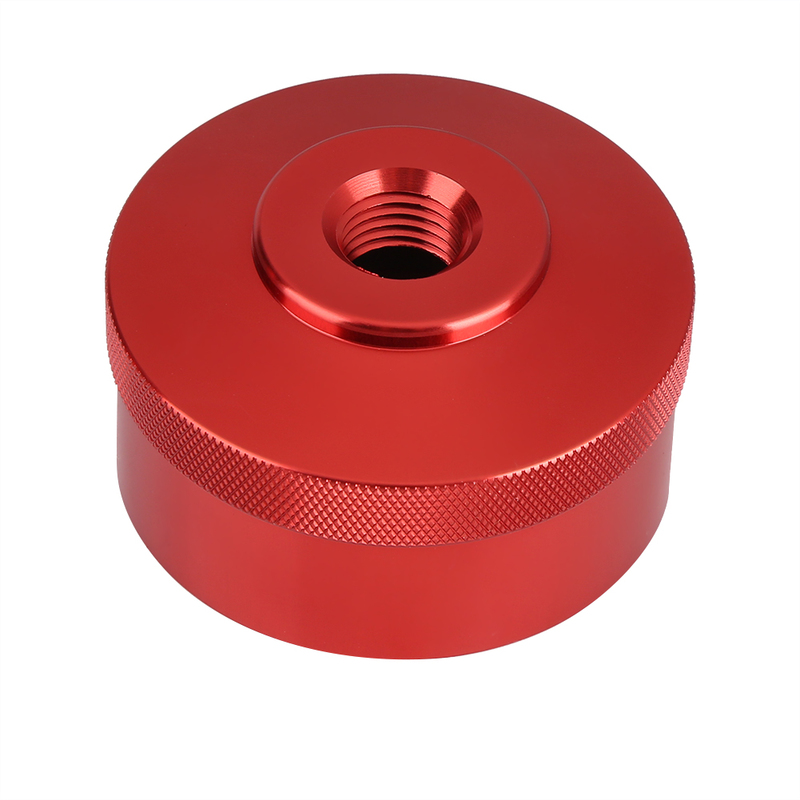 Aluminum alloy constructed product with coating, it is anti-rust, corrosion resist, and of great durability.